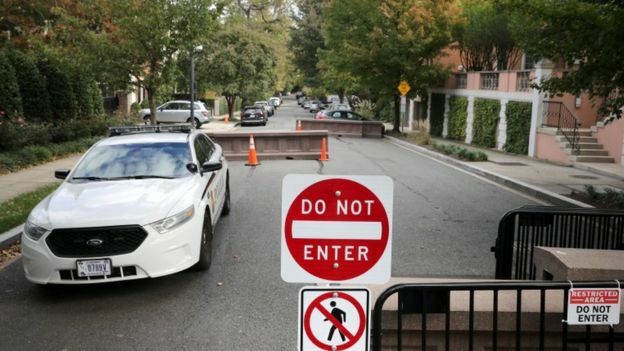 Suspected explosive devices were sent to former US President Barack Obama, ex-Secretary of State Hillary Clinton, and other top Democrats, officials say. It comes two days after a bomb was found at the home of liberal philanthropist and financier George Soros in the suburbs of New York City. 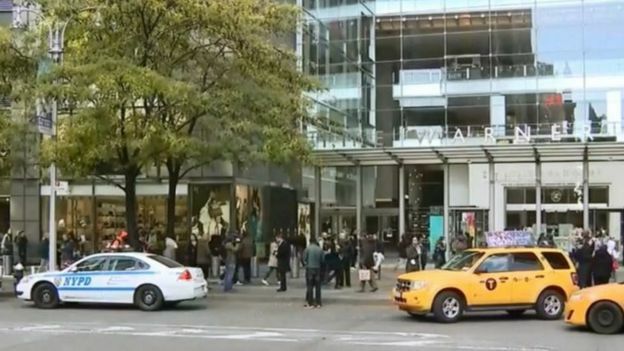 CNN’s New York office was also evacuated over an explosive device. President Donald Trump said on Wednesday that he has been briefed by the FBI and “a major federal investigation is now under way”. 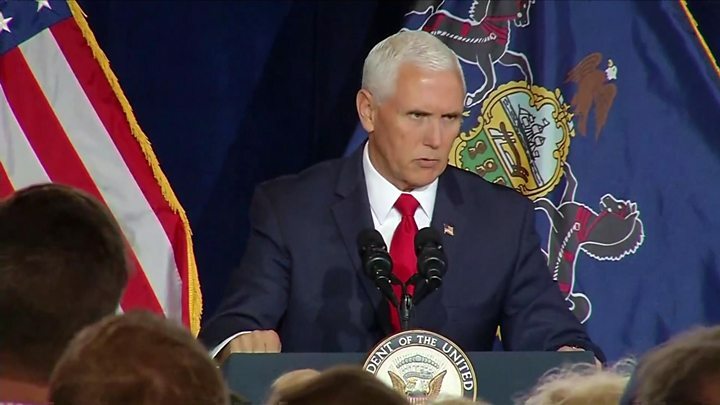 “The safety of the American people is my highest and absolute priority,” he said. When asked about the pattern of these attempted attacks, during a news conference, New York Police Commissioner O’Neill said law enforcement is proactively contacting people to ensure other mail rooms “follow proper protocol”. New York Mayor Bill de Blasio decried the attempted attacks as “an act of terror attempting to undermine our free press and leaders of this country”. FBI Special Agent Bryan Paarman told reporters the device for Mr Brennan, which appeared to be live, had been sent to CNN’s mailroom. One of the packages sent today had listed Congresswoman Debbie Wasserman Schultz, the former chairwoman of the Democratic National Committee, as the sender. 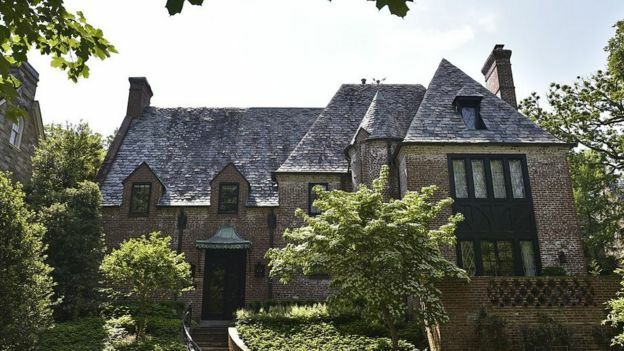 The package intended for Mr Holder was sent to an incorrect address and returned to the congresswoman’s office in Sunrise, Florida, US media say. 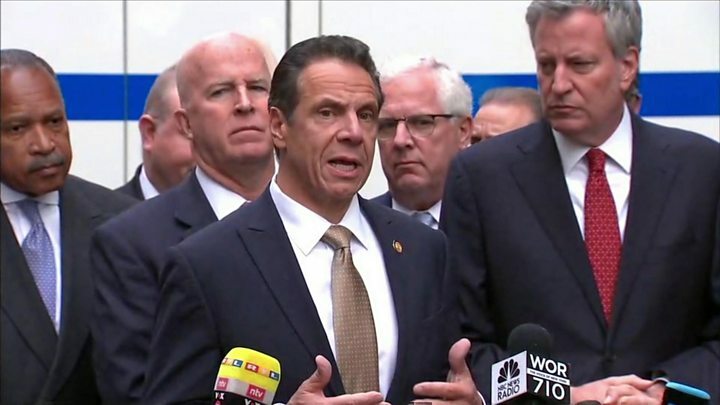 New York Governor Andrew Cuomo had said a suspicious package had been sent to his office, but New York police told the BBC “it was a thumb drive and is not related to other events”. The devices are suspected to be pipe bombs. Law enforcement officials tell US media that the device discovered at CNN on Wednesday appears to be similar to the one found at Mr Soros’ home on Monday. Police commissioner Mr O’Neill also said law enforcement found an “envelope containing white powder” in the packaging of the device sent to CNN. The powder is being investigated, but authorities found “no additional threats” after sweeping the area. A US official told the Associated Press that a “functional explosive device” was found during a screening of mail sent to the home of Mr and Mrs Clinton in Chappaqua, New York. Speaking at a campaign event in Florida, Mrs Clinton thanked the Secret Service and said she and her family “are fine”. A spokeswoman for Mr Obama declined to comment on the incident, and referred reporters to the Secret Service statement. First Lady Melania Trump called the attacks “cowardly” during an event addressing opioids at the White House on Wednesday. “I strongly condemn all that choose violence,” she said in the event’s opening remarks. The First Lady also encouraged “everyone across the country to choose kindness over hatred”. White House spokeswoman Sarah Sanders condemned the “attempted violent attacks” against the public figures. In a follow-up tweet, she added that the White House condemnation “certainly includes threats made to CNN as well as current or former public servants”. The US President’s eldest son, Donald Trump Jr, who received a suspicious package at his New York home earlier this year, tweeted: “As someone whose family has directly been the victim of these mail threats I condemn whoever did this regardless of party or ideology. His sister, Ivanka Trump, also condemned the “acts of violence” and expressed gratitude to law enforcement.